That's not what it means. People who say "save the rainforests" aren't saying "f**k all other types of forests". They also don't go [email protected] crazy when someone says all forests matter. They don't chant "forrest rangers in a blanket fry 'em like bacon" or "what do we want "dead smokey the bears...'when do we want it'...now"
Damn. I didn't know that was happening. Sorry. Not to lash out, but too many get involved in these causes before they know what they are doing. I would have had no problem with "black lives matter" if they hadn't behaved in a way that insinuated they were the only lives that matter. If you want to fact check me you can google their protest chants and hear for yourself on youtube as well as what happened at the Martin O'mally rally. 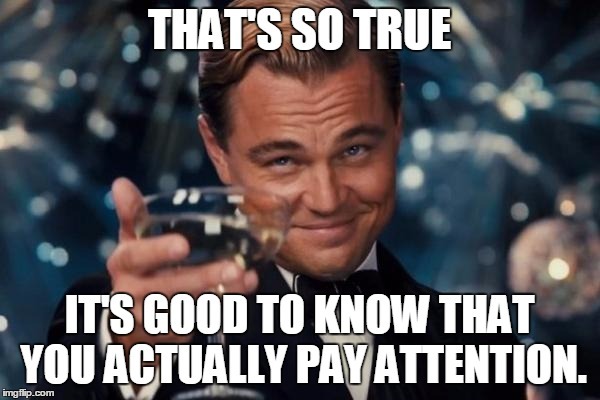 Don't be sorry, you are not the first person to not know, but it is why its important to get news from more than one source! inb4 Invicta saying "except for liberal trolls,.. 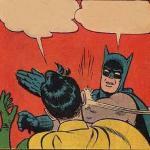 upvote!" 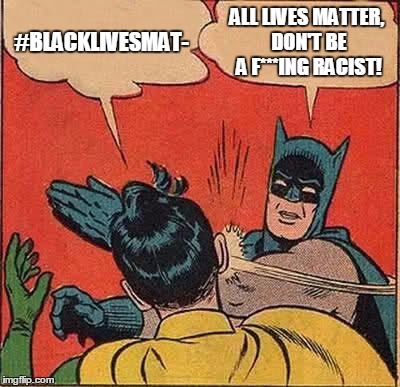 #BLACKLIVESMAT-; ALL LIVES MATTER, DON'T BE A F***ING RACIST!